The BMW K 1600 GTL Exclusive takes two-wheeled travel to a new level with a 160 hp in-line six-cylinder engine that melds superlative power, stylish design and superb standards of equipment and comfort. Leading the BMW Motorrad tourer range, the “Exclusive” model already lays claim to class-beating specifications as standard equipment – central locking with anti-theft alarm system and ESA II (electronic suspension adjustment) for an optimum spring/damper setup regardless of load. The Dynamic Traction Control (DTC) enhances safety when accelerating, while the innovative new Hill Start Control feature takes all the hard work out of pulling away uphill, even when carrying a passenger and full luggage. 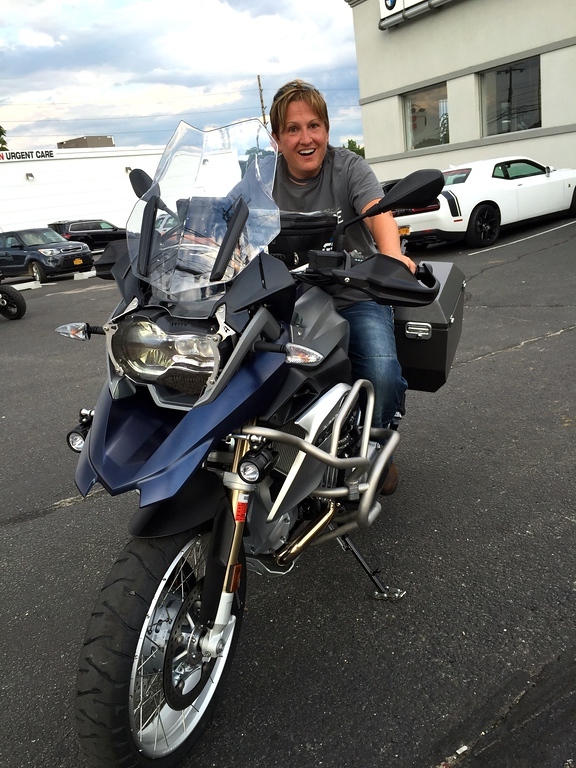 Plus, like all BMW motorcycles, the GTL Exclusive comes equipped with BMW Motorrad ABS as standard. 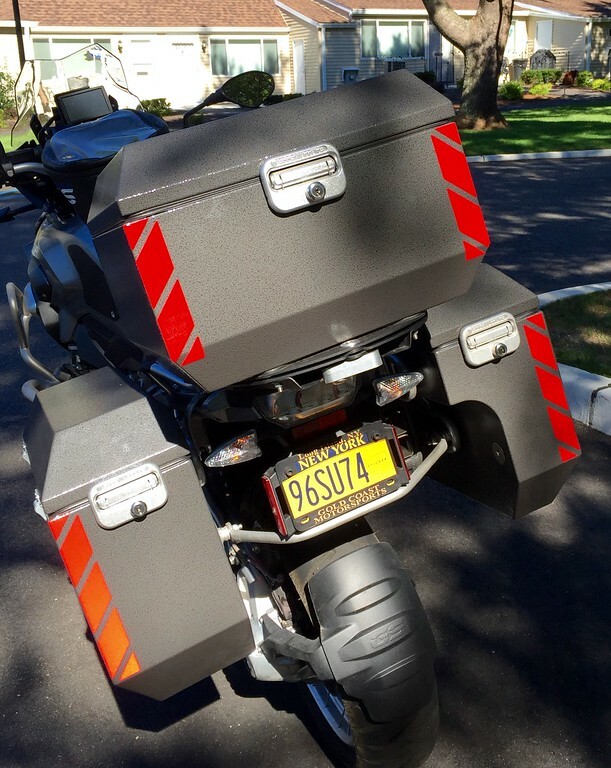 The film antenna for the radio that is embedded in the topcase lid is a world first and ensures the best possible reception quality without sacrificing the bike’s appearance. Long-distance travel comfort for the pillion passenger is taken to greater heights by a new seat, a heated backrest and comfortable armrests. 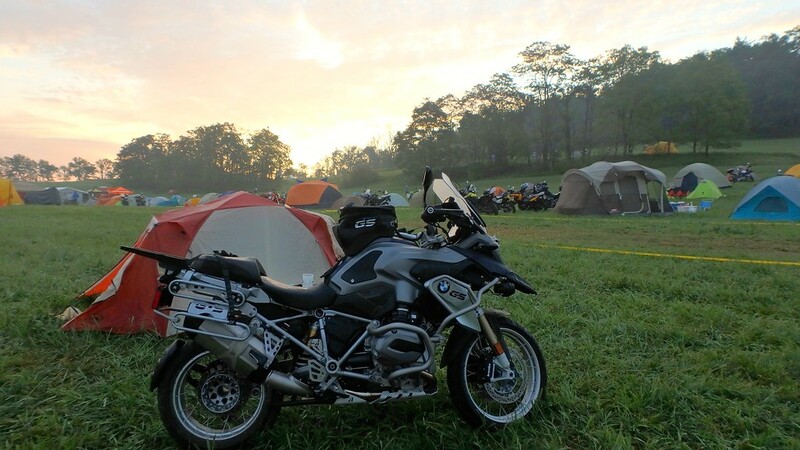 Also found on the list of standard equipment: LED auxiliary headlights, adaptive xenon headlight, Tire Pressure Monitor, additional brake light, engine protection bar, floor lighting, as well as LED daytime running light and, for the first time on a BMW motorcycle, Keyless Ride. The styling of the “Exclusive” model also spells luxury – from the fuel tank’s aluminum molding and fully chromed exhaust system to the new-look instrumentation. The color scheme for the new GTL Exclusive adds to the sense of elegance and aesthetic appeal. The bodywork’s four-coat paint finish in Mineral white metallic high gloss complements the striking chrome surfaces, contrasting shade of Magnesium metallic matt and the Glacier silver metallic radiator . The color-coordinated seat cushion upholstery, backrest and pillion passenger armrests add the perfect finishing touch. – Output of 118 kW (160 hp) at 7,750 rpm and maximum torque of 175 Nm (129 lb-ft) at 5,250 rpm. – Over 70 per cent of maximum torque on tap from just 1,500 rpm. – Three selectable riding modes (“Rain”, “Road”, “Dynamic”). – High standard of active safety thanks to BMW Motorrad Integral ABS (part integral). – Dynamic Traction Control (DTC) to maximize safety when accelerating. – Chassis featuring duolever and paralever suspension plus ideal concentration of mass for dynamic handling abilities combined with the best possible comfort. – Electronic Suspension Adjustment II (ESA II) for optimum adaptation to all operating requirements and vehicle loads. – Liners for cases and topcase (embroidered). – Adaptive xenon headlight for greater safety on night-time rides. – Audio system prepared for navigation device and controllable interface for iPod, MP3, USB, Bluetooth and satellite radio (satellite radio only available in USA and Canada). – Innovative design offering outstanding wind and weather protection. 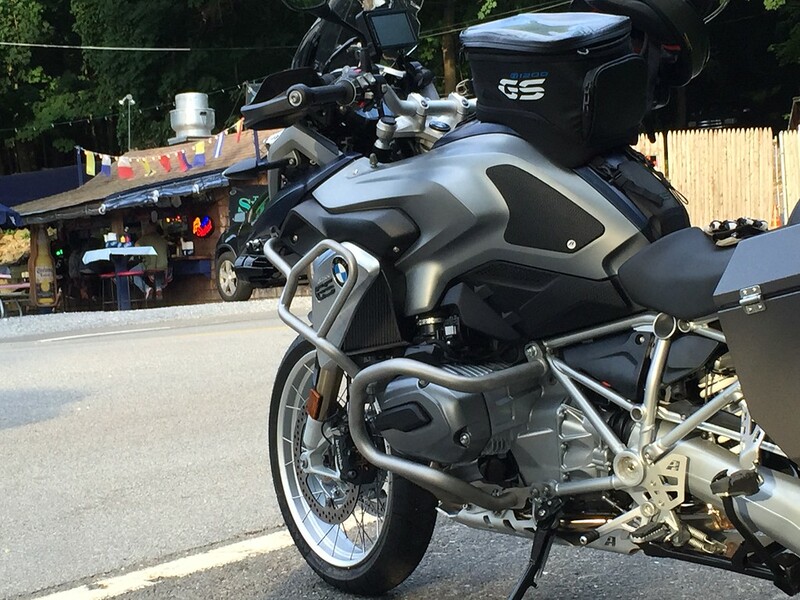 – Extensive equipment and bespoke accessories made to BMW Motorrad’s customary high standards. The instrument cluster and area in the driver’s immediate field of vision deliver a distinctively upmarket feel. The cluster’s dials now feature brand new scales in the form of indirectly illuminated light boxes. This novel technology, unique to BMW Motorrad and the rest of the industry, is more aesthetically pleasing and improves visibility on both daytime and night-time rides. The chrome edging surrounding the four speakers lends a sophisticated styling touch to the rider’s exclusive workstation. The chromed finish on other elements, such as the headlight interior, the entire exhaust system with its remodelled plating around the catalytic converter, the mirrors, the brake fluid reservoir and the engine protection bar, adds to the new GTL Exclusive’s refined styling. Passengers are seated more comfortably than ever on the new GTL Exclusive. The pillion seat has been widened and lengthened at the rear. The standard armrests are complemented by a backrest that has been extended up to the lower topcase area and features a heated upper section. All of these features offer riding companions maximum comfort over long distances and add up to undiluted touring pleasure. 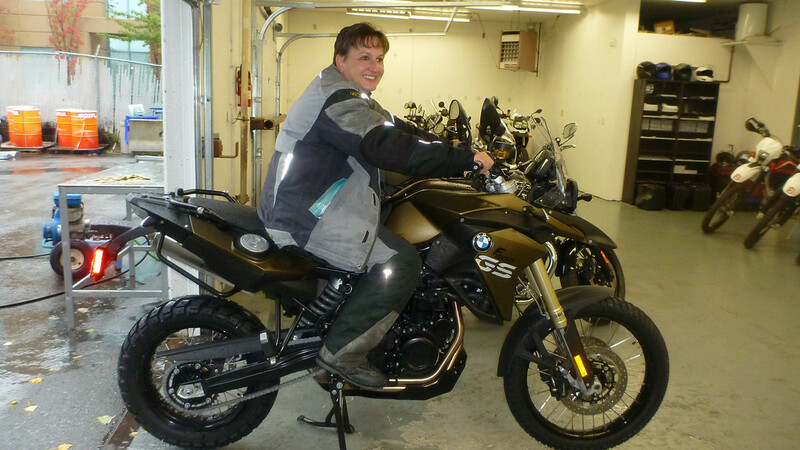 For the first time on a BMW motorcycle, the conventional ignition/steering lock has been replaced by the Keyless Ride system, eliminating the need to use a key in the normal fashion. Instead, the steering lock, ignition, fuel filler flap and central locking are all controlled by a transponder integrated into the key, allowing riders to keep their key where it belongs – in their pocket.The ignition is activated by briefly pressing the pushbutton control or by holding it down after releasing the steering lock. The ignition is switched off by a brief or prolonged press of the pushbutton. The pushbutton control also unlocks the fuel filler flap electrically. To open, just lift up the fuel filler flap. Once refuelling is complete, the fuel filler flap can simply be pressed back into place. The anti-theft alarm system is activated automatically with the ignition switched off and the steering locked as soon as the key moves out of range. It is also possible to activate the anti-theft alarm system manually. The 1600 GTL Exclusive is BMW Motorrad’s first model with an in-line engine to feature the new Hill Start Control function, which allows riders to effortlessly remain stopped on uphill slopes with the engine running without having to keep the brake lever pressed. This “BMW first” makes it far easier to perform hill starts and is a particularly valuable aid on a fully laden tourer. Thanks to the partially integral ABS braking system, the rear brake can be operated individually for this purpose. 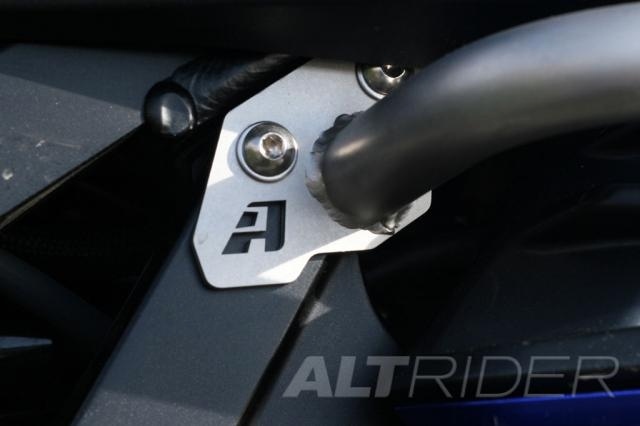 It allows pressure to build up in the rear wheel’s hydraulic brake unit when the Hill Start Control is activated and hold the motorcycle steady on an incline.The Hill Start Control is purely a convenience feature that is designed to facilitate stopping and starting on a hill and is separate from a parking brake. It is activated by squeezing the hand-operated brake lever tightly, triggering a stop symbol in the display. The system is deactivated by either pressing the brake lever again or pulling away in first or second gear. The Exclusive is equipped as standard with Dynamic Traction Control (DTC). This is a key factor contributing to the bike’s superlative handling and safety. 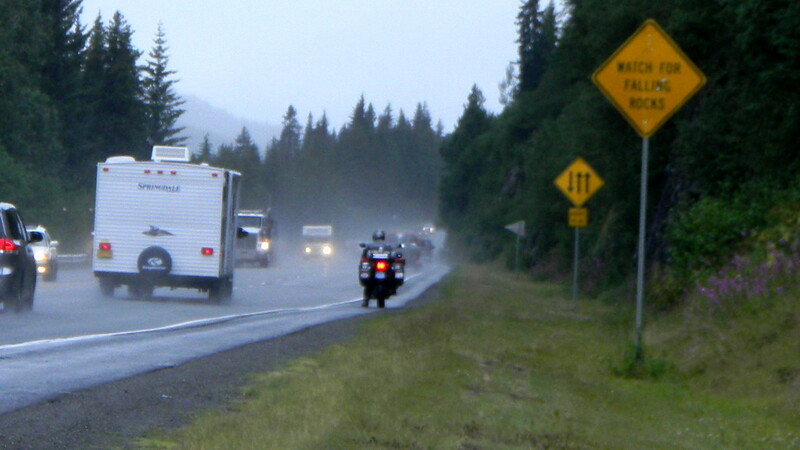 The DTC traction control proves to be a particularly valuable rider aid during fluctuating operating conditions, road conditions with poor grip or sudden changes in road surfaces. The Exclusive is equipped with an adaptive xenon headlight. 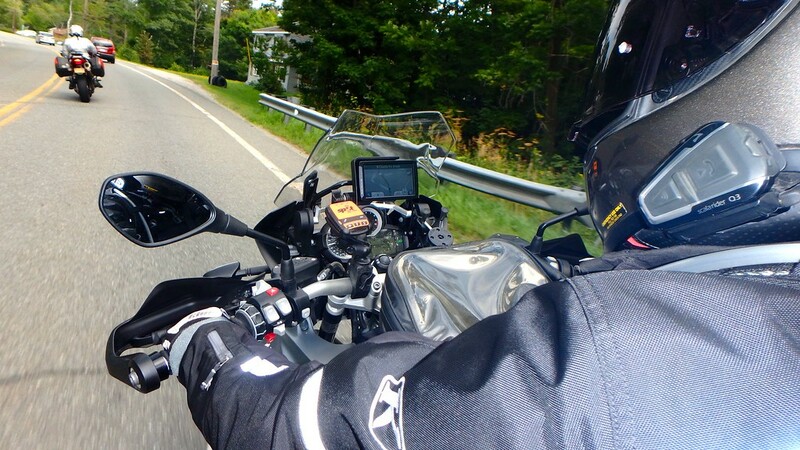 In addition to the pitch leveling that takes place during braking and acceleration, the low beam adjusts to compensate for the lean angle of the motorcycle. Together, the two compensatory movements direct the beam of light into the bend, following the road ahead. This results in vastly improved road illumination and active riding safety.For greater visibility when riding in adverse weather conditions, the K 1600 GTL Exclusive is fitted with LED auxiliary headlights at the sides below the fairing. Topping the list of lighting features is an additional brake light integrated into the topcase, as well as floor lighting that stays on for a period when the remote control central locking is activated and after dismounting. ESA II electronic suspension adjustment for optimum adaptation to all operating requirements and vehicle loads. The GTL Exclusive comes standard with the benefits of the highly sophisticated Electronicuspension Adjustment II (ESA II) system. This system allows the rider to adjust not only the rebound damping for the front and rear spring struts and the spring preload of the rear spring strut, but also the strut’s spring rate and therefore the “firmness” of the springs – at the press of a button. The result is outstanding stability and impressive response regardless of the load. The Exclusive exudes a stylish, elegant and exclusive personality thanks to its numerous chrome details and artfully inspired color palette. The Mineral white metallic high gloss paint finish that is applied to the bodywork in four coats lends this motorcycle a tremendous sense of class and distinction. The harmonious blend of the main body color with the subtle contrasting shade of Magnesium metallic matt creates an appearance that is brimming with both poise and elegance. Together with the Glacier silver metallic radiator shroud and the Magnesium silver upholstery on the seat cushions, backrest and pillion passenger armrests, the Exclusive will turn some heads. Low seat, one-piece 750 mm (29.5 in). High seat, 810 mm (31.9 in). Impact protection for side-cases, 4-piece. Storage Compartment Organizer for top-case lid. Twin Akrapovic sport silencers (mufflers). Additional (3rd) on-board power socket. Color matched Helmets – BMW Motorrad USA partnered with Schuberth North America to develop an exclusive color matched helmet in Mineral White High Gloss. 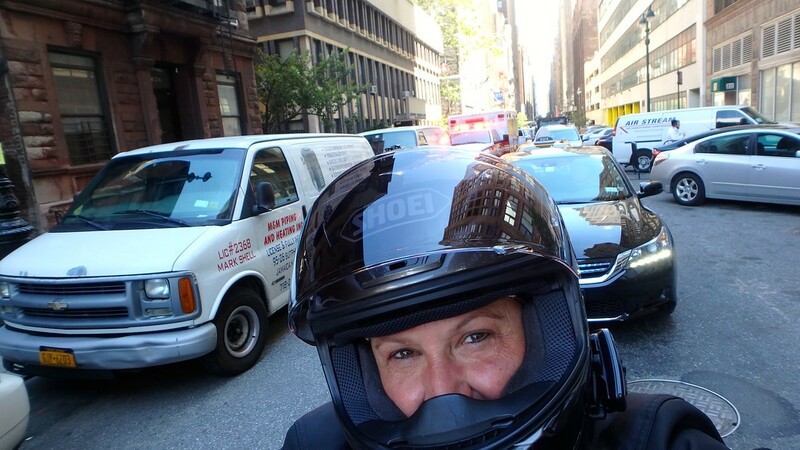 The Schuberth C3 Pro and C3 Pro Women are Schuberth’s top-of-the-line, award winning flip-up helmets and the only helmets approved for installation of the BMW Communications System. Schuberth GmbH. has been producing premium motorcycle helmets for over 50 years and is known worldwide for wind-tunnel developed helmets that are light, quiet and aerodynamic. The special K 1600 GTL Exclusive color matched helmets will only be available for retail sale at authorized BMW Motorrad dealers in the USA. Hmm not for me but I would love to take a trip on one of these big luxury liner class bikes and maybe I could be convinced. Then you’ll never retire from DS, Leslie 😉 You saw in my video the ease and speed the 1200 handled some pretty crap potholed/muddy trails on stock street tyres – I think you’d subside to temptation and do just as much off road as you do now!